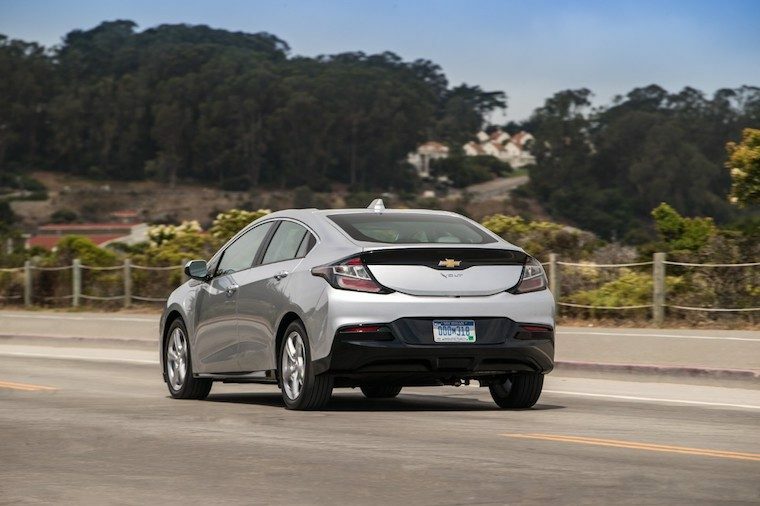 Until now, Chevy Volt models have been notoriously quiet. Some would say, too quiet. Just check out this video clip, to get an idea of how silent this ride is. Now, however, Chevrolet is incorporating a Low-Speed Sound Alert on the Volt, starting with the 2019 model year. Here’s a glimpse of just what this technology will sound like. The sound is similar to the chime sound effect the Volt triggers during startup. While it’s not the familiar gas engine sound that many drivers are used to, it definitely improves the vehicle’s audibility to pedestrians. Per GM Authority, the alert activates when the car is in “drive” or “reverse” modes. The volume of the alert increases or decreases depending on the speed of the car, however it only turns on when the vehicle is traveling under 20 mph. The reason for Chevy’s addition of the sound alert is the 2010 Pedestrian Safety Enhancement Act. This legislation requires all electric cars, plug-in hybrids and future silent propulsion systems to have this low-speed sound alert, to help protect pedestrians. Besides the low-speed sound alert, the 2019 Volt boasts a plethora of other modifications to anticipate. A digital rearview camera replaces the analog version. Drivers can also choose between regular and adaptive cruise control, on models equipped with the technology, for enhanced convenience during long drives. Additionally, a new six-way power-adjustable driver’s seat comes standard on the Premier trim (and optional on the LT version). New cloth seat patterns and a new Pacific Blue Metallic exterior color are two extra tweaks that upgrade the Volt’s appeal.